Close your eyes and step into a serene realm of warmth and insightful depth. With unanticipated structures and soothing sounds, the music of Robert Turgeon will carry you to another level of spiritual peace – the effect is purely magical. Welcome to Standing Bear Music, the production company for the stylings of Robert Turgeon, who is considered to be the most original and authentic Native American flutist in the United States. Please read more about Robert and his music. 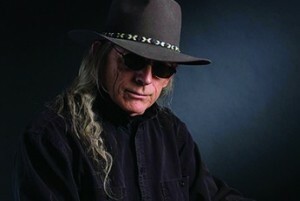 “Legacy” – Robert’s newest release was on the 52nd Grammy Awards Nomination Ballot as “Best Native American CD for 2009″. Considered one of the master Native American flutists in the world, Robert Turgeon's music will embrace you with warmth and bring you to an ethereal dimension.
" The flute is haunting; it so easily transfers your life's' feelings and journeys. It affects others in a way no other musical instrument can - it penetrates the soul, and touches the heart."